T/Sgt. 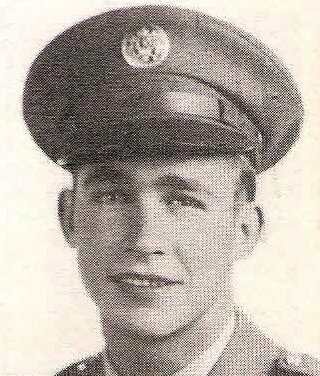 Merle R. Burke, son of Mrs. Bettie Burke, Graham, attended Graham High. Entered Army, 1939, trained at Ft Warren, Wyo, Ore., Cal. and Tex. Served in ETO. Awarded EAME, 4 Battle Stars, Purple Heart, OLC and AD Ribbon. Wounded in France, 1944, Germany, 1945. Discharged in 1945.